Was there enough coal available at Auschwitz-Birkenau to cremate the remains of nearly 900,000 Jewish victims? There was never enough coke (coal) at Auschwitz-Birkenau to cremate the remains of the nearly 900,000 Jews who were murdered in the gas chambers. In David Irving v. Penguin Books Ltd. and Deborah Lipstadt (2000), Holocaust denier David Irving claimed that the amount of coke (coal) at Auschwitz-Birkenau made the murder and cremation of hundreds of thousands of prisoners impossible. At the trial, Irving performed his own examination of experts and witnesses. During his examination of Robert Jan van Pelt, an expert on Auschwitz-Birkenau, Irving placed a water bottle on the witness stand and asked: “Do you really, sincerely believe that you can burn one body with enough coke that you could fit into one of these water bottles, is that what you are saying?” By asking this, Irving intended to claim that the supposed lack of coke (coal) proves that the murder and cremation of more than a million people was impossible. We do not know how much coke (coal) was delivered to Auschwitz-Birkenau because the records are incomplete. Attempts to calculate how much coke (coal) was used at Auschwitz-Birkenau are futile by design. Three important facts must also be considered. (1) Multiple remains were cremated at the same time. (2) The ovens were in continuous use. (3) Alternative fuels and open-air burning pits were also regularly used by the Nazis. These facts make the issue surrounding the amount of coke (coal) irrelevant. Holocaust denier David Irving claimed that it took between 30 and 35 kilograms of coke to cremate one body. In 1993, Irving published figures of coke shipments to Auschwitz-Birkenau. He claimed that these figures were based on documents in the Moscow archives. According to Irving, the figures show that a total of 2,188 tons of coke were delivered to Auschwitz-Birkenau between 1940 and 1944. Irving suggests that this amount of coke was not enough to cremate the bodies of 900,000 Jews. Even Carlo Mattogno, an Italian Holocaust denier, was unable to verify the existence of these supposed records from the Moscow archives. Irving has still not published or released the actual documents. Scholars have shown that the available records of the coke delivered to Auschwitz-Birkenau are incomplete. The records only run from February 16, 1942, to October 1943, with a significant gap in the middle. These records show that 497 tons of coke were delivered in 240 deliveries. Without complete records, however, it is impossible to make average calculations of coke usage at Auschwitz-Birkenau. Irving’s claim lacks the critical evidence needed to support it. Though we don’t know the total amount of coke shipped to Auschwitz-Birkenau, we do know other important facts. Regarding the use of coke, Henryk Tauber, a member of one of the cremation Sonderkommando in Auschwitz-Birkenau, testified, “…we used the coke only to light the fire of the furnace initially, for fatty bodies burned of their own accord thanks to the combustion of the body fat. On occasion, when coke was in short supply, we would put some straw and wood in the ash bins under the muffles, and once the fat of the body began to burn the other bodies would catch light themselves.” According to Tauber’s testimony, there was no direct correspondence between the amount of coke used and the number of corpses that could be burned. Once the fires were started, it did not take as much coke to burn more bodies. There is proof that the ovens were designed to reduce fuel usage if continuously operating. A critical piece of evidence comes from a Topf & Sons memo, dated March 11, 1943; Topf & Sons designed and manufactured the ovens used in Auschwitz-Birkenau. The memo, headed “Estimation of coke usage for Crematorium II K L,” suggested that the coke usage could be “reduced by one third” if the ovens were operating on a continuous basis. Furthermore, we know that coke was not always used for the disposal of corpses at Auschwitz-Birkenau. For example, in late 1944, the Nazis murdered between 8,000 and 10,000 Hungarian Jews per day. This was the peak of the so-called Hungarian Action and the number of bodies requiring cremation exceeded the daily capacities of the ovens. Open-air burning pits were dug behind Crema/Gas Chamber 5 and beside a cottage (which had operated as a gas chamber prior to the four dedicated gas chambers, which started operation in 1943). Coke shipments. Bundesarchiv, Bild 183-N0624-344 / Otto Donath / CC-BY-SA 3.0, via Wikimedia Commons. 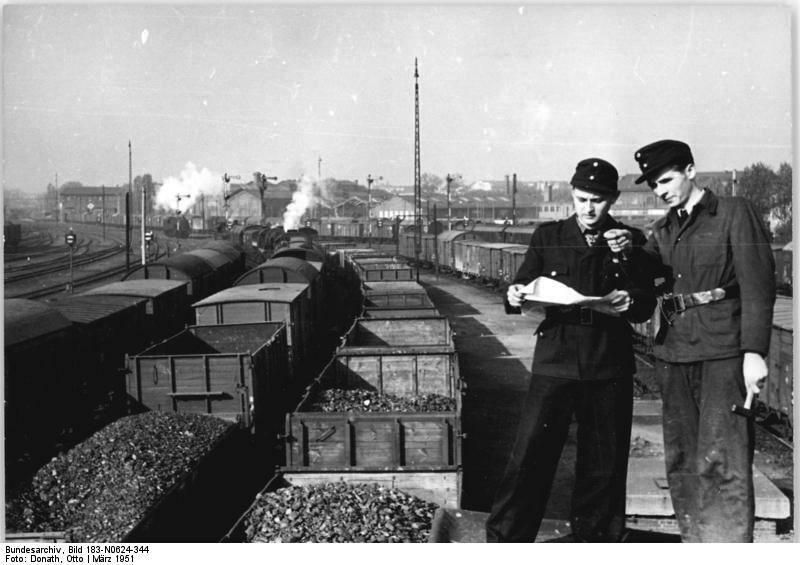 We do not know exactly how much coke (coal) was delivered to Auschwitz-Birkenau because the records are incomplete. Thus, attempts to calculate the precise amount of necessary fuel are futile. Likewise, a few other facts are important, as already shown. (1) The cremation of multiple bodies at the same time, (2) continuous operation of the ovens, and (3) the use of other fuel sources or open-air burning pits make the precise amount of coke (coal) irrelevant. The mass execution and disposal of over a million people at Auschwitz-Birkenau did occur. Coke is a form of coal that contains few impurities and has a high carbon content. It burns more efficiently than does raw coal. John C. Zimmerman, “Body Disposal at Auschwitz: The End of Holocaust Denial” (“Fuel Consumption”). Robert Jan van Pelt, The Van Pelt Report (“IV Attestations, 1945-46”) at https://www.hdot.org. See also John C. Zimmerman, “Body Disposal at Auschwitz: The End of Holocaust Denial” (“Fuel Consumption”)..